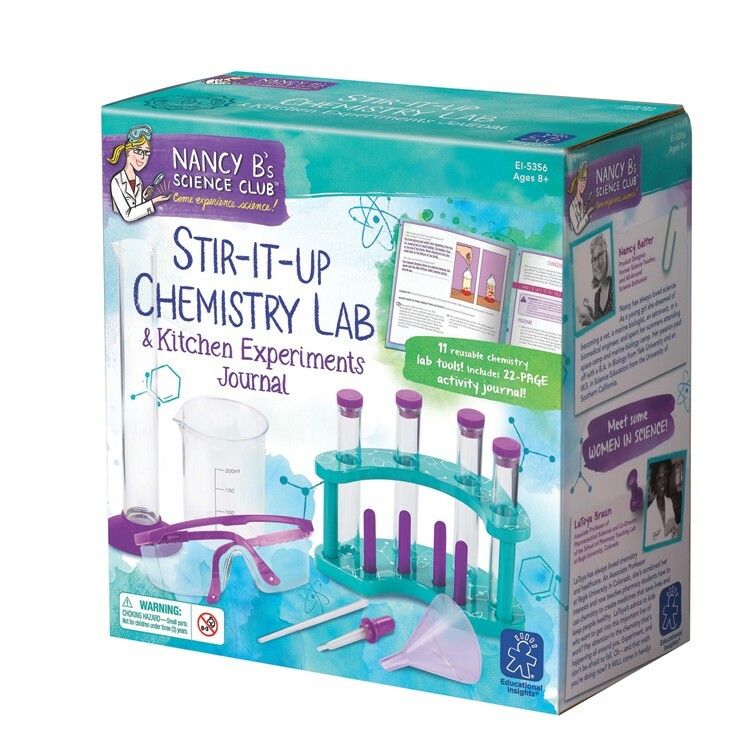 Nancy B's Science Club Stir It Up Chemistry Lab brings a great collection of chemistry tools to experiment and learn in your own kitchen. 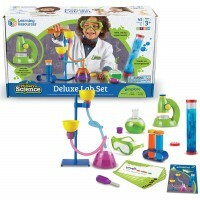 Prepare the science journal. 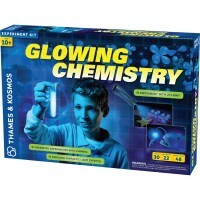 Put on your safety goggles. 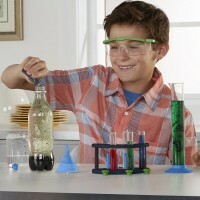 Pour your solutions into the test tubes. 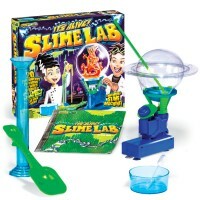 Add some common kitchen chemical elements - and watch it blow, bubble, change color, grow, or swirl in a chemical reaction! 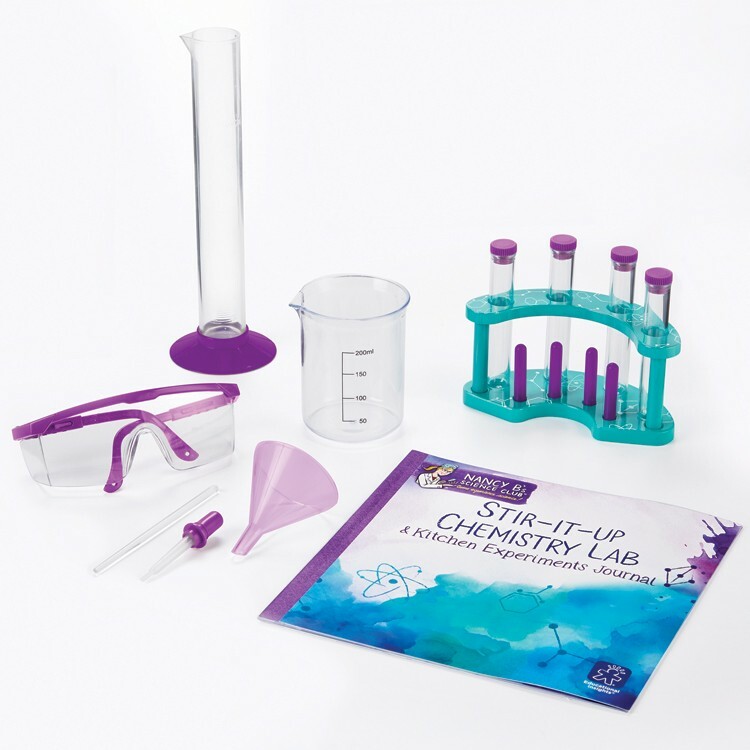 Chemistry Lab & Kitchen Experiments Science Activity Set is a great collection of kitchen chemistry tools necessary to perform different exciting science projects for beginners. 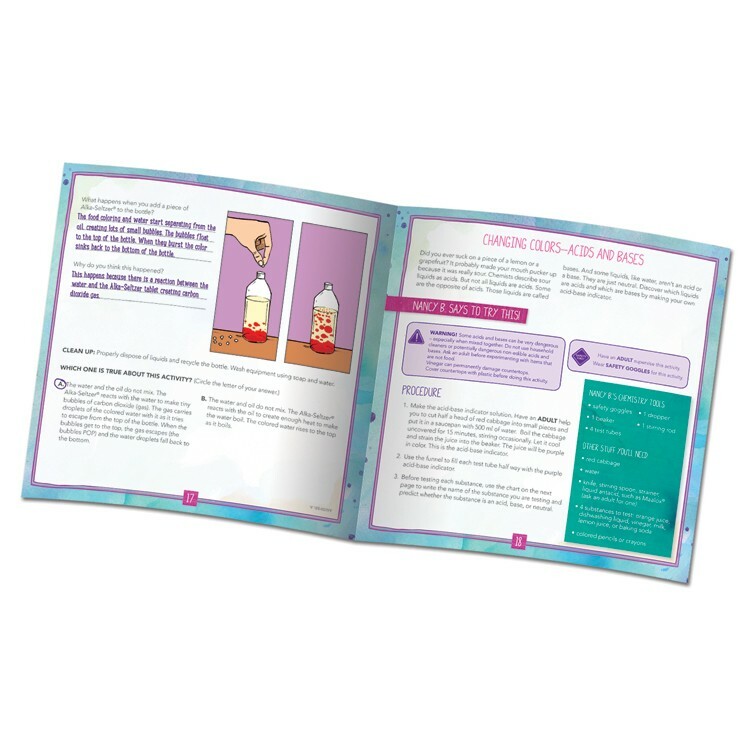 Young chemists can explore simple chemistry principles including extinguishing a flame with invisible gas, preparing their own bubbling lava in a tube, experimenting with changing color chemicals, and more. This kids chem kit from the bestselling Nancy B's Science Club toy series by Educational Insights includes 11 reusable chemistry lab tools: 4 test tubes, test tube rack, beaker, graduated cylinder, dropper, funnel, stirring rod, and kids size lab goggles. 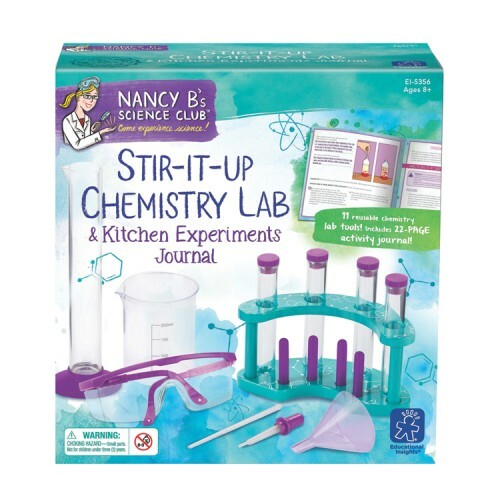 This girls favorite science lab from Educational Toys Planet comes with 22-page science activity journal filled with chemistry related activities that use common household ingredients. 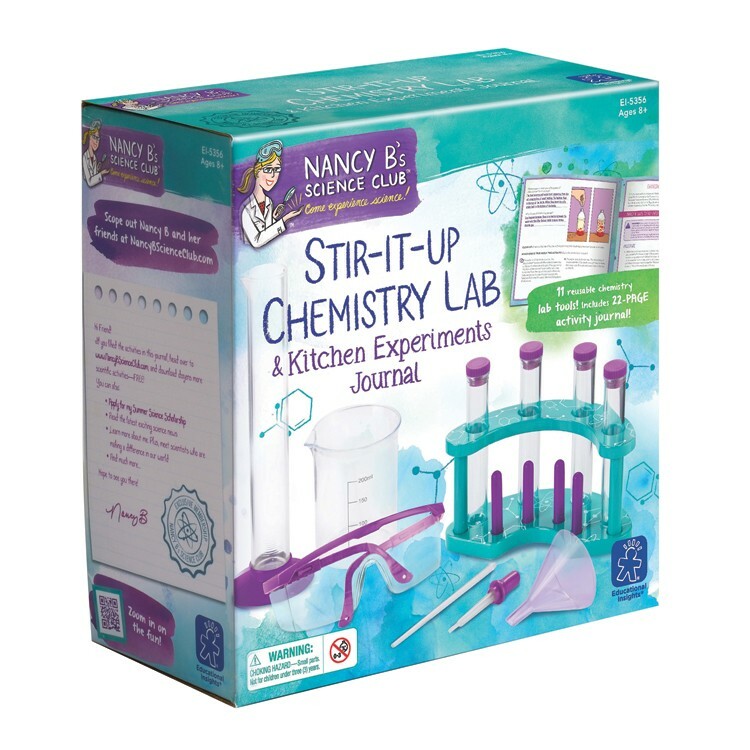 Stir it up, pour, mix and record your observation in a journal with the Chemistry Lab & Kitchen Experiments Science Activity Set. 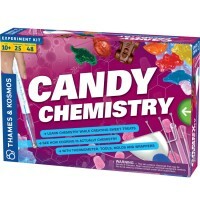 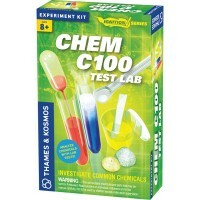 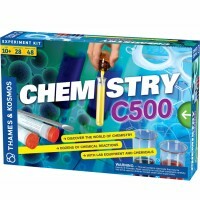 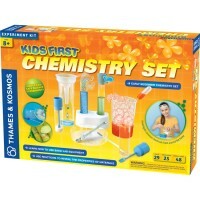 Write your own review of Chemistry Lab & Kitchen Experiments Science Activity Set. 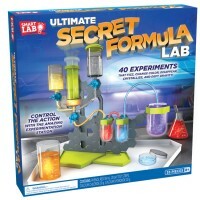 Rating: 5 by Laurie, LA My 11 year old got this for Christmas and started doing experiments immediately. 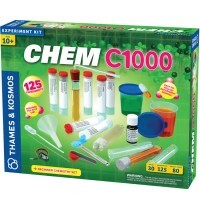 We are both really pleased with this kit.